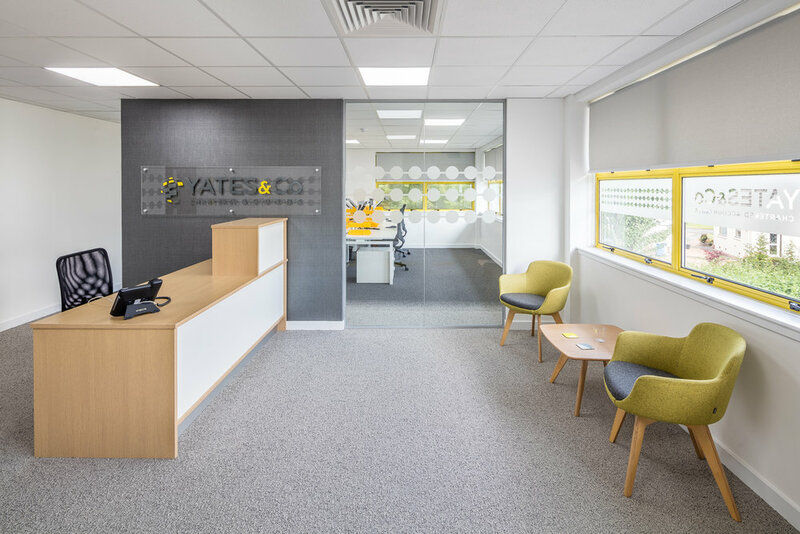 Yates & Co are a proactive and growing firm of accountants and had outgrown their central Scotland office. 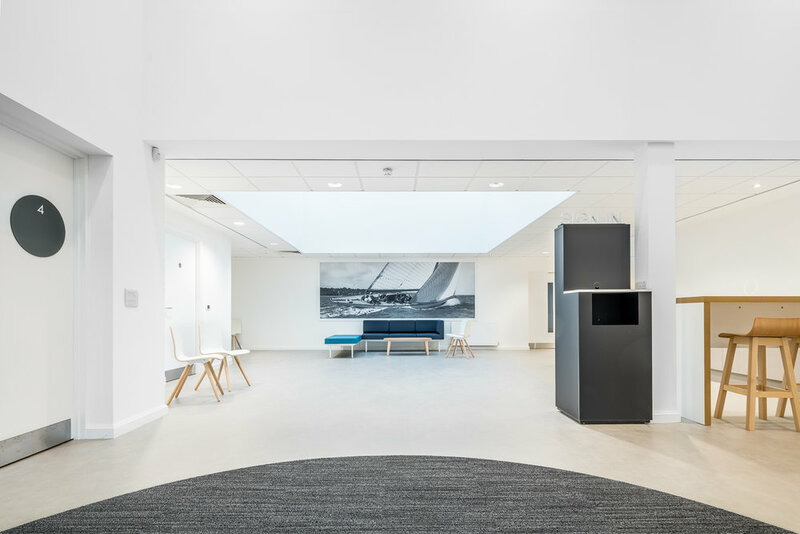 Working with the Amos Beech interior design and build team, they identified 2 possible locations and carried initial space planning and costing exercises. 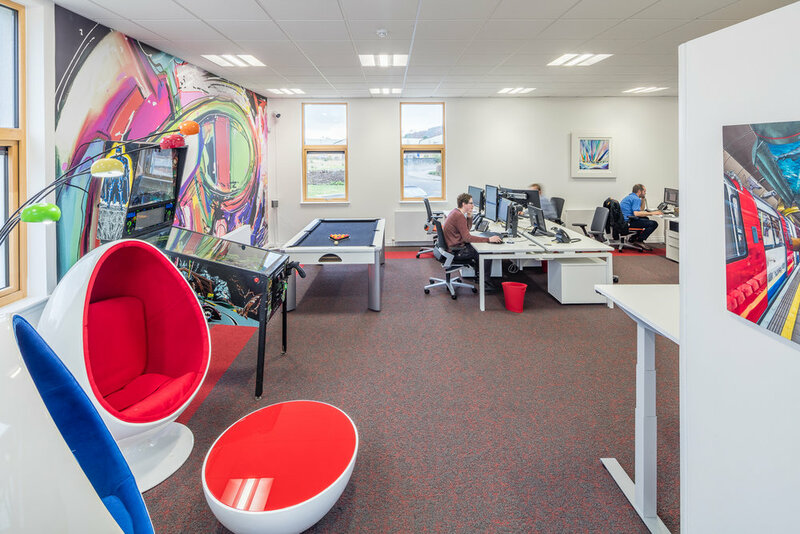 The decision to move to the Gateway Business Park in Falkirk was taken on a range of criteria including proximity to the motorway, ample parking and a bright 1st floor office space that leant itself to the modern corporate look that David Yates and his team were keen to achieve. 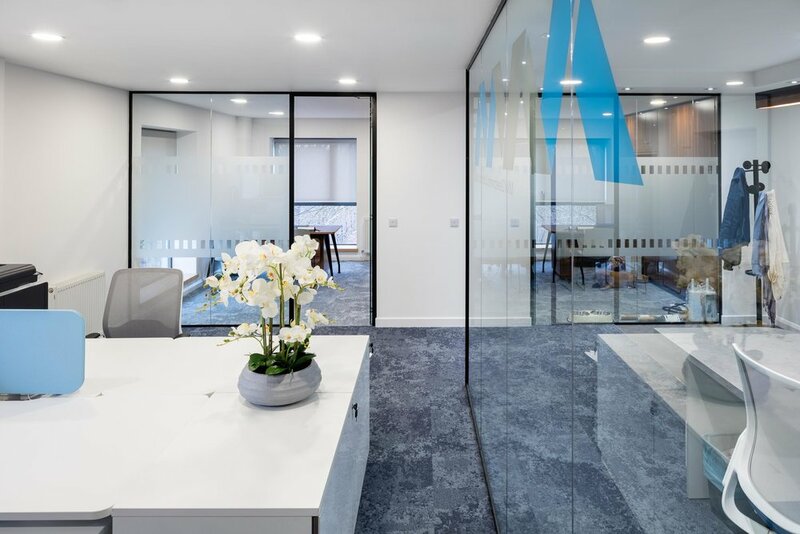 As a workplace consultancy were engaged to provide a full design and build service for the fit-out and the interior design team got to work, planning the space, creating a colour palette using the new branding that was being adopted as part of the move and integrating all of the office functions into a cohesive and pleasant environment. 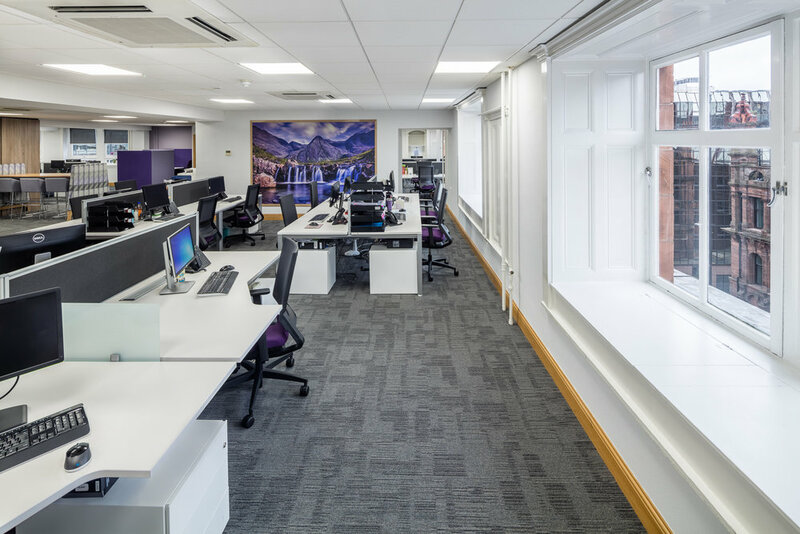 Yates & Co were able to make full advantage of the range of services offered by Amos Beech because they engaged us very early in the process. 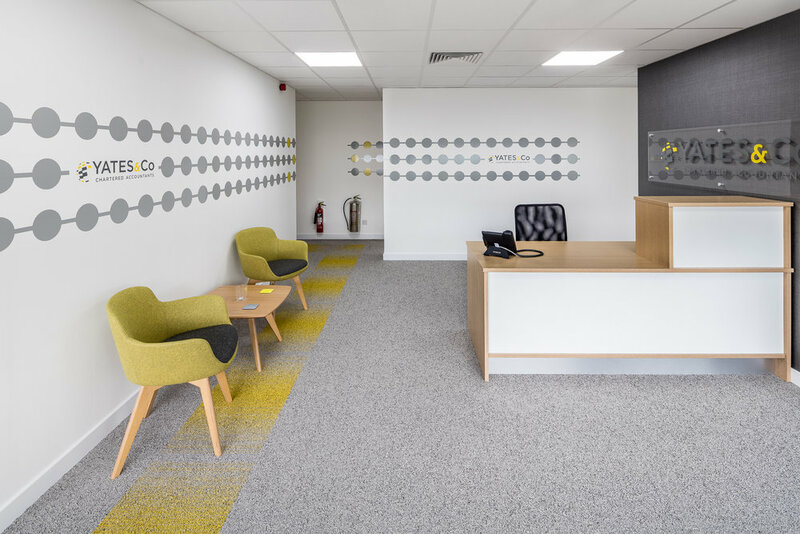 By integrating the interior design and graphic design/branding from project inception, we were able to create and fit out an office that reflects the company values and provides the right sort of welcome to their client base. Staff were given thought and consideration to the way they work and how they interact with one another and with clients. 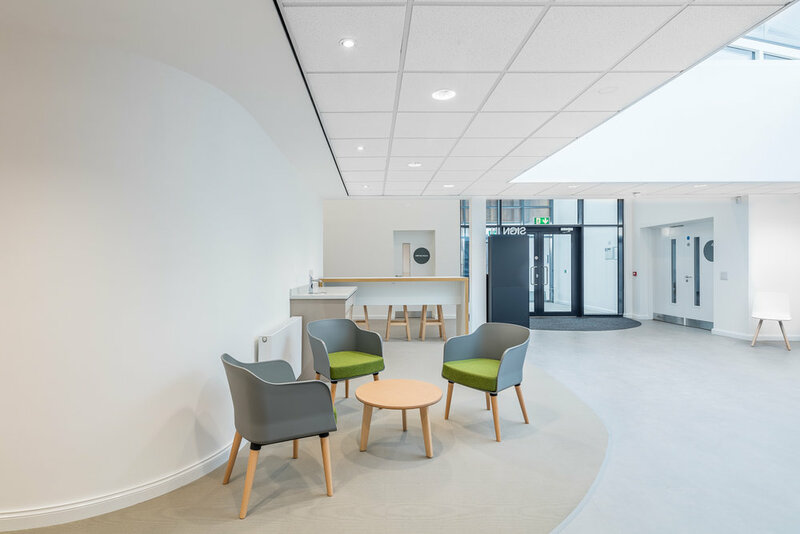 Floor coverings and wall finishes were all integrated into the overall scheme with thought given to appearance retention, wear ability and ease of maintenance. A unique 3D printed wall paper was used to create a special effect in the entrance atrium which will be a conversation point for sure. Key to the scheme was provision for future growth without having an impact on the aesthetics. 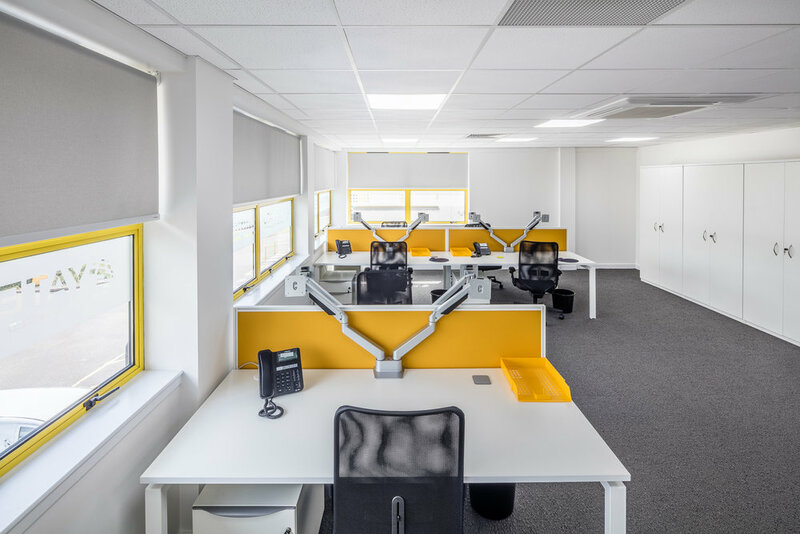 Whilst larger space was available in other locations, the benefits that the chosen office provided outweighed the larger option and the Amos Beech interior design and build team were able to demonstrate their skills in coming up with an option that didn’t compromise yet allows for additional staff to be integrated as the business grows and hires. 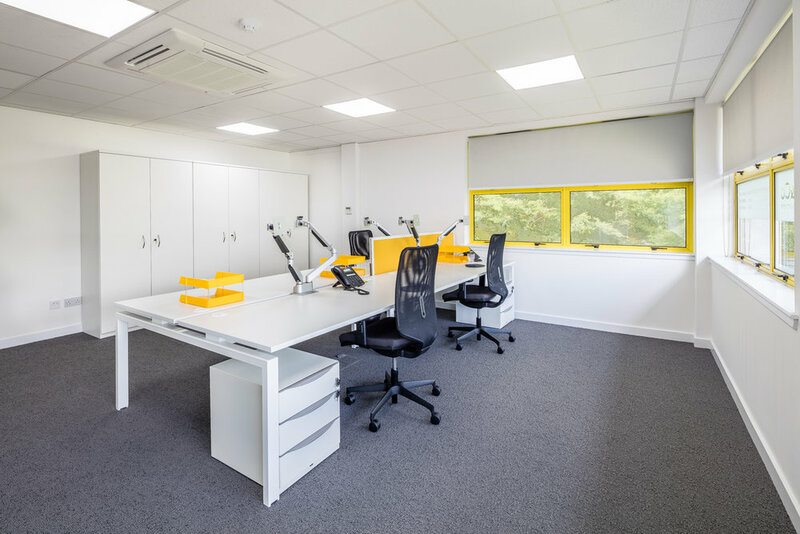 Amos Beech provided a subtle balance of quality furniture whilst keeping a close eye on cost and without making too much of a statement. 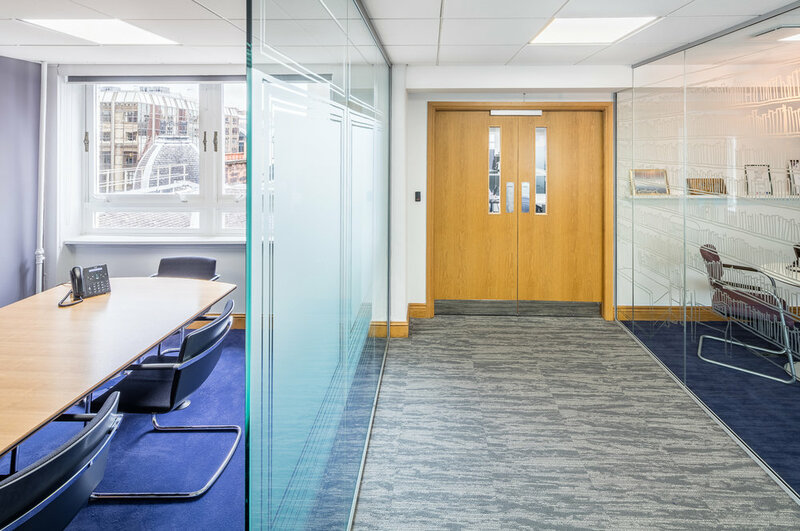 The blend of textures and finishes expertly combine to create an ambiance of solid dependable quality that accurately matched the brand and company ethos that Yates & Co have established over their years in business. 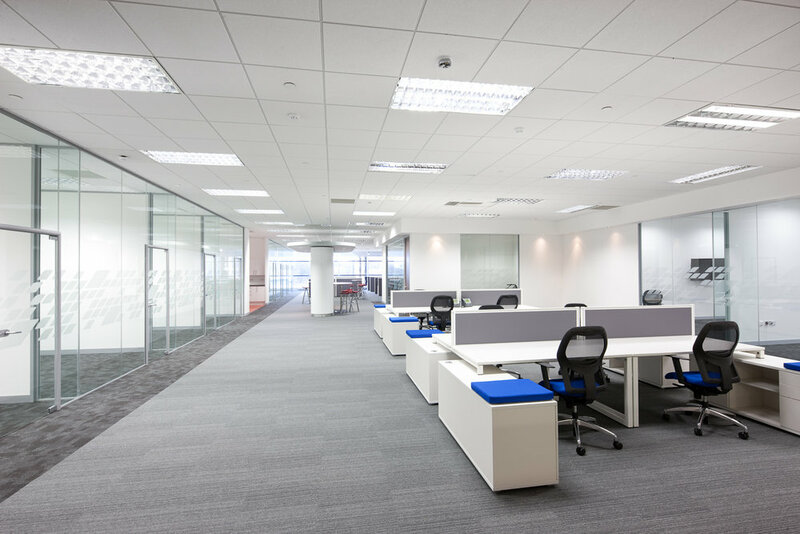 Samuel Bruce TeamTable bench desking combines with elegant mesh back task chairs and dual monitor arms to create an ergonomic and highly functional working environment. 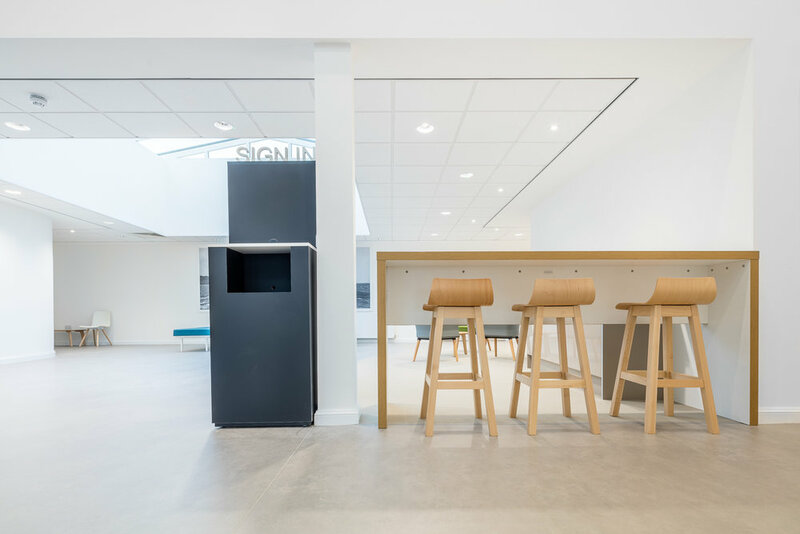 Break-out and meeting spaces have all been carefully considered to provide the right kind of interactions which improve communication and business performance.